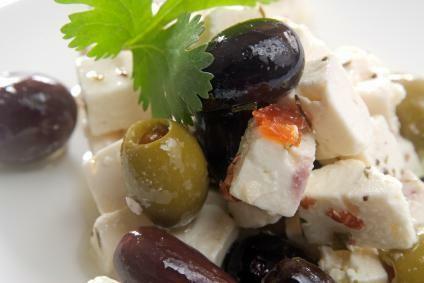 Tofu is one of the many foods in a plant based diet. If you are new to vegetarianism you may be looking for suggestions for a plant based diet. Switching to a vegetarian diet can seem overwhelming. Many people worry about getting enough protein and nutrients, but this is rarely a problem if you eat a variety of foods. The Recommended Daily Allowance (RDA) for protein for a healthy adult is 0.8 grams per 2.2 pounds of body weight. This works out to about 54 grams of protein per day for someone weighing 150 pounds. Animal derived foods provide complete proteins while plant based foods usually lack one or more amino acids. Because of this it is important to use combinations of plant foods for the highest quality nutrition. For example, beans and rice, or peanut butter on whole grain bread create a complete, high quality protein. One benefit of a plant based diet is healthy fats. Most plant-derived foods are naturally low in fat. Avocado, olives, nuts, and other plant items contain a healthy type of fat called mono-saturated. Mono-saturated fats have been shown to help lower cholesterol as well as maintain a healthy weight when used in moderation. Most vegetables and other plant-based foods are made up primarily of complex carbohydrates. Carbohydrates are important for energy. Whereas sugar and syrups (simple carbohydrates) can cause health problems, complex carbohydrates contain fiber and take longer to digest. This keeps the blood sugar levels consistent and guards against that afternoon energy slump. Since most plant based foods fall into this category it is impossible to list them all. Plant foods normally need much less preparation than animal based foods. They are generally a quick meal and even the most complex dish can be made in under an hour. Although switching to a plant based diet can seem daunting, in a very short period of time you will have adjusted to a new way of thinking about meal planning. Investing in a good vegan or vegetarian cookbook like American Wholefoods Cuisine by David and Nikki Goldbeck can make mealtimes much simpler. Give yourself some time to adjust and don't be afraid to try new techniques, flavors, and cuisines. In a short time you will be an experienced, vegetarian gourmet.